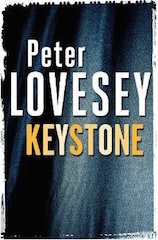 Put a solemn Englishman into police uniform and thrust him into the crazy world of Keystone Film Studios in 1916 and you have the premise for this novel. The King of Comedy, Mack Sennett, insists on calling the new cop Keystone. But comedy turns swiftly to crime. Shocking things occur that are not in any script – a horrific death on a rollercoaster, a body in a bungalow, the disappearance of a girl, a shooting on a beach. Keystone the cop gets on the trail. His mission: to find the adorable and much abused blonde actress, Amber Honeybee. The action is threaded through the real stories of silent comedy stars Mack Sennett, Roscoe “Fatty” Arbuckle and Mabel Normand.